Twelve Hotel Atlanta - 361 17th Street NW, Atlanta, Ga.
Do you know what material provides enhanced performance, value and sustainability? The answer is advanced high-strength steel (AHSS). With an increasing focus on materials used to design and engineer vehicles as well as increased fuel economy regulations, there is more demand for high performance materials. 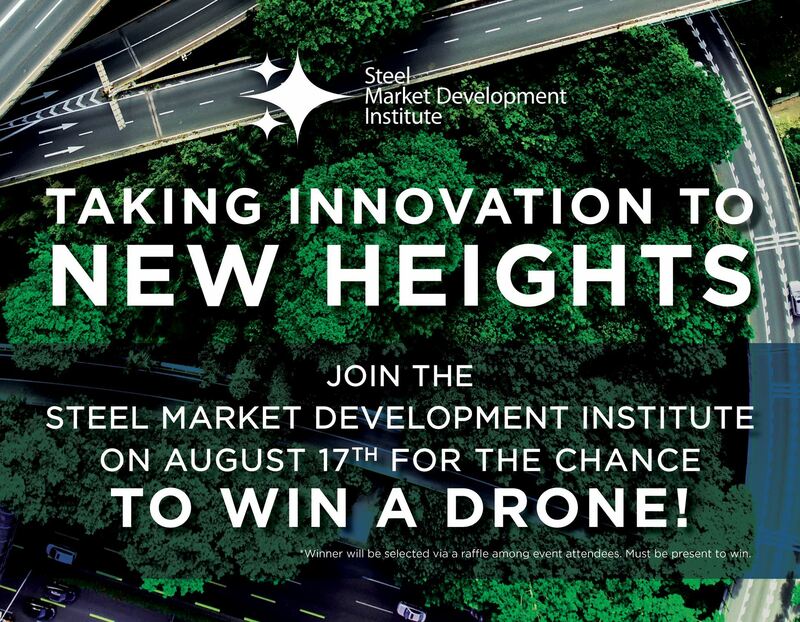 Join Dr. Jody Hall, vice president of the automotive market for the Steel Market Development Institute (SMDI), a business unit of the American Iron and Steel Institute, on Thursday, August 17 to learn about the advancements in the various grades of steel, the application of steel in the vehicle structure and how it helps aid in occupant protection in the event of a crash and is easier to repair than vehicles made with alternative materials. The luncheon will be held at the Twelve Atlantic Station, located at 361 17th Street NW in Atlanta starting at noon on August 17. Valet is available free of charge to attendees – just mention you are there for the SMDI Luncheon. Lunch will include a grilled filet medallion with roasted fingerling potatoes and seasonal vegetables. A vegetarian entrée is available upon request. Please contact harmon@franco.com with any dietary restrictions.